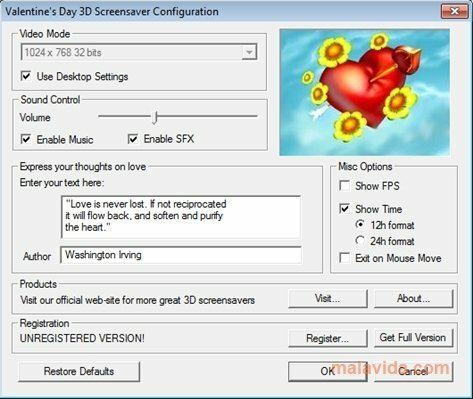 Valentine's Day 3D Screensaver will allow you to observe Cupid flying around the sky shooting love arrows on your computer's screen. It is a screensaver that has been specially designed for Valentine's Day, in which you will be able to see the love quotes that you like most. 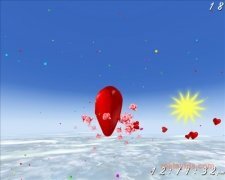 Valentine's Day 3D Screensaver shows 3D animations that are theme-based on Valentine's Day. If you want a very specially way to celebrate this day, you can try the Valentine's Day 3D Screensaver. You will be able to see 3D animations of Cupid flying around the sky, searching for couples to shoot his arrows at. Each time he shoots you will see a new love quote. 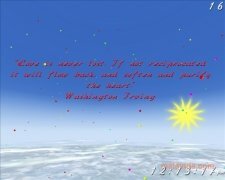 What's more, you will be able to choose the quotes that will be shown on Valentine's Day 3D Screensaver. Valentine's Day 3D Screensaver also shows what time it is and the amount of time the animation has been active. This screensaver also includes music and various sound effects. 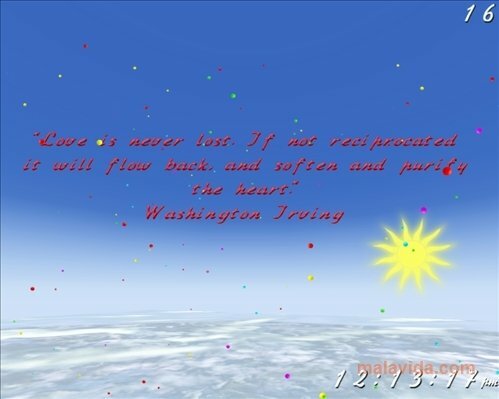 Celebrate Valentine's Day in style thanks to the animations and quotes offered by Valentine's Day 3D Screensaver.